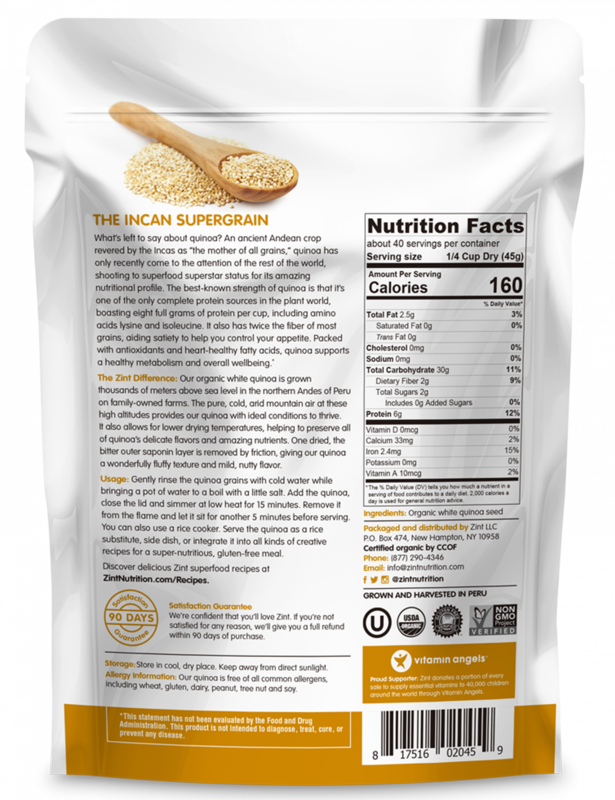 An ancient Andean crop revered by the Incas as “the mother of all grains,” quinoa was first cultivated in South America over 6,000 years ago. Quinoa has only recently come to the attention of the rest of the world, shooting to superfood superstar status for its amazing nutritional profile. 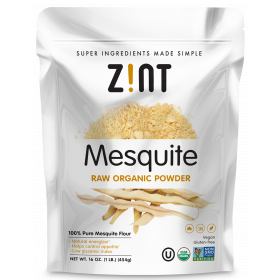 The best-known strength of quinoa is that it’s one of the only complete protein sources in the plant world, boasting eight full grams of protein per cup, including important amino acids lysine and isoleucine. 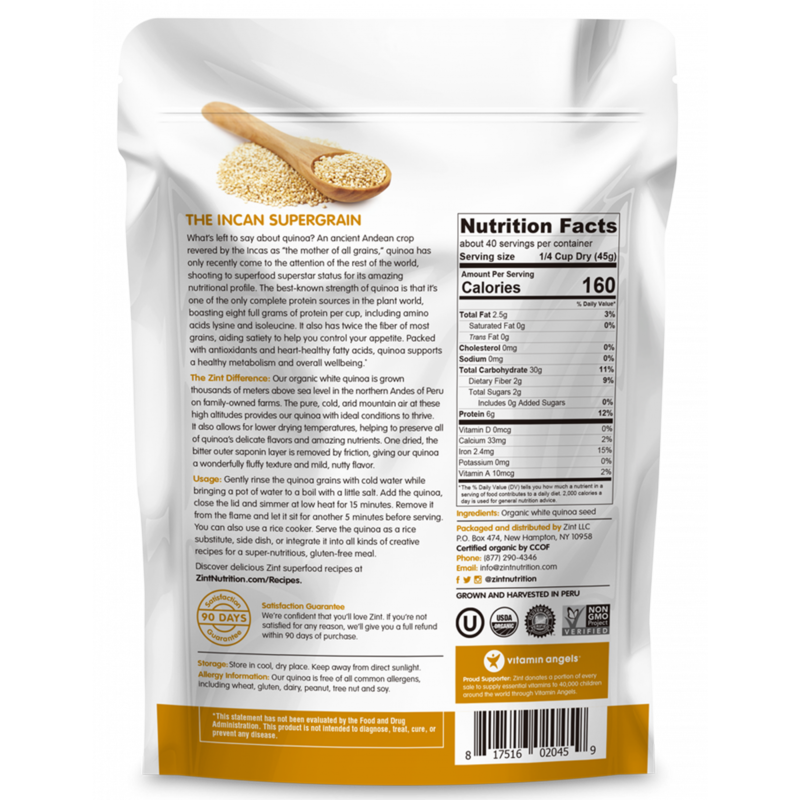 It also has twice the fiber of most grains, aiding satiety to help you control your appetite. 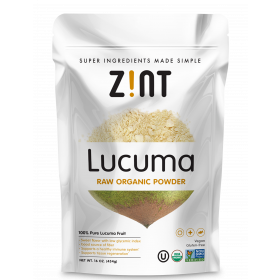 Packed with antioxidants and heart-healthy fatty acids, quinoa supports a healthy metabolism and overall wellbeing. Nature knows best. 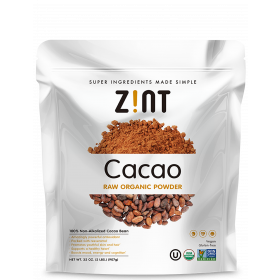 While the food industry becomes more industrialized and reliant on genetic modification, Zint carries only the healthiest, most wholesome ingredients on the planet. 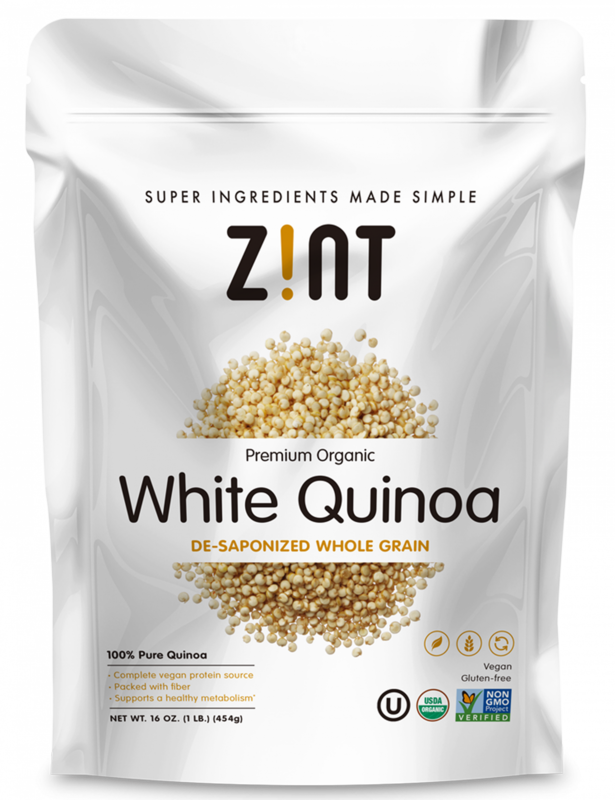 Our organic white quinoa is grown thousands of meters above sea level in the northern Andes of Peru on family-owned farms. The pure, cold, arid mountain air at these high altitudes provides our quinoa with ideal conditions to thrive. It also allows for lower drying temperatures, helping to preserve all of quinoa’s delicate flavors and amazing nutrients. Once dried, the bitter, waxy saponin coating on quinoa seeds is traditionally removed by soaking and washing, but Zint Quinoa is de-saponized mechanically with friction. 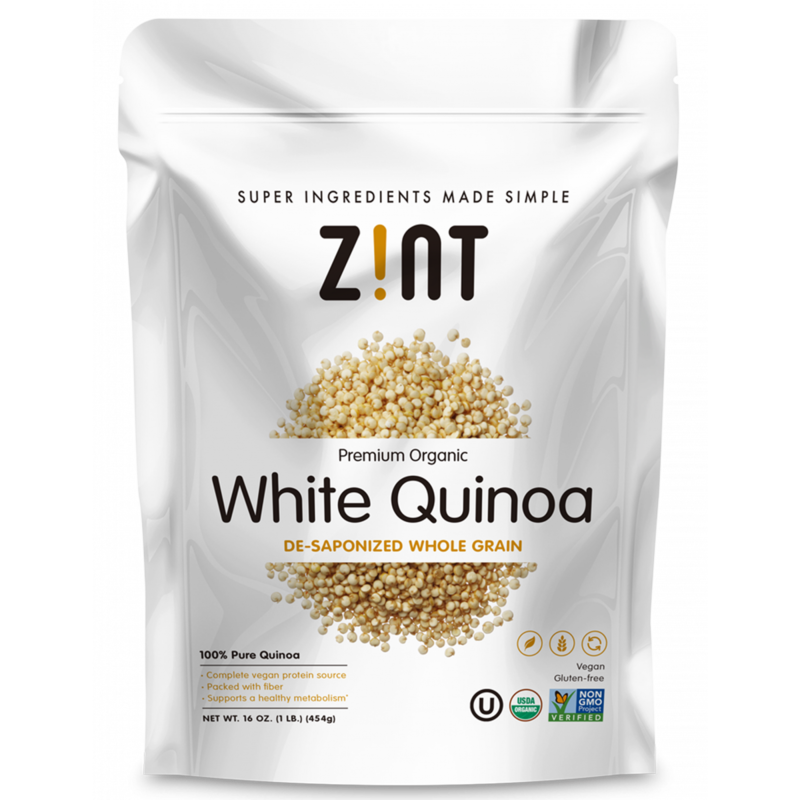 This gives our quinoa a wonderfully fluffy texture and preserves its mild, nutty flavor.